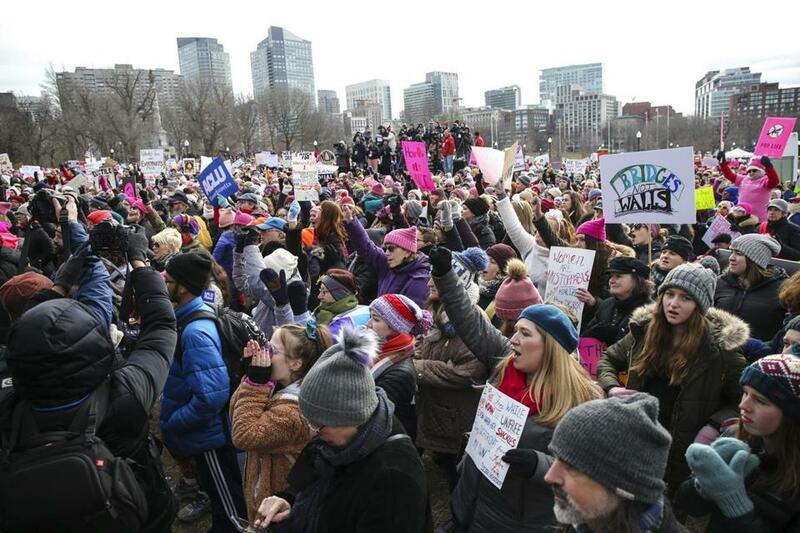 A crowd gathers in front of a stage to listen to speakers during the Boston Women&apos;s March on Boston Common Saturday afternoon. 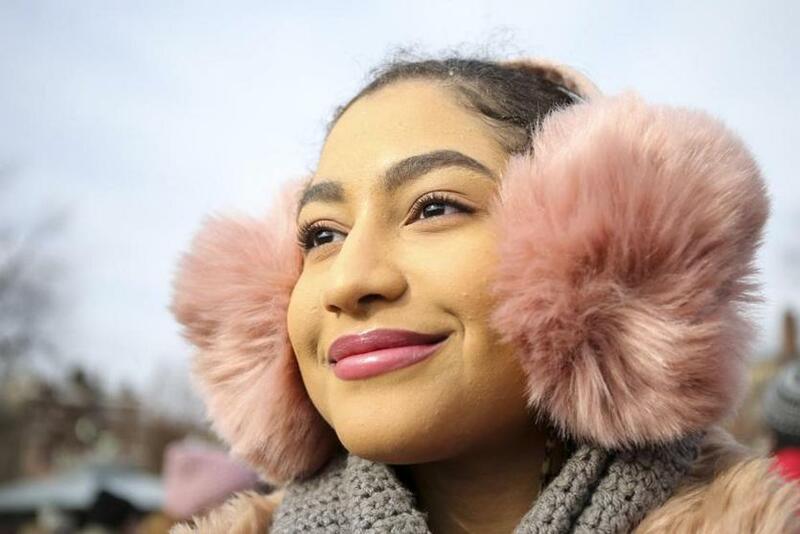 In its third iteration on a frigid day, Boston’s march for women drew several thousand people Saturday, a much smaller crowd than the first march the day after President Trump’s inauguration. 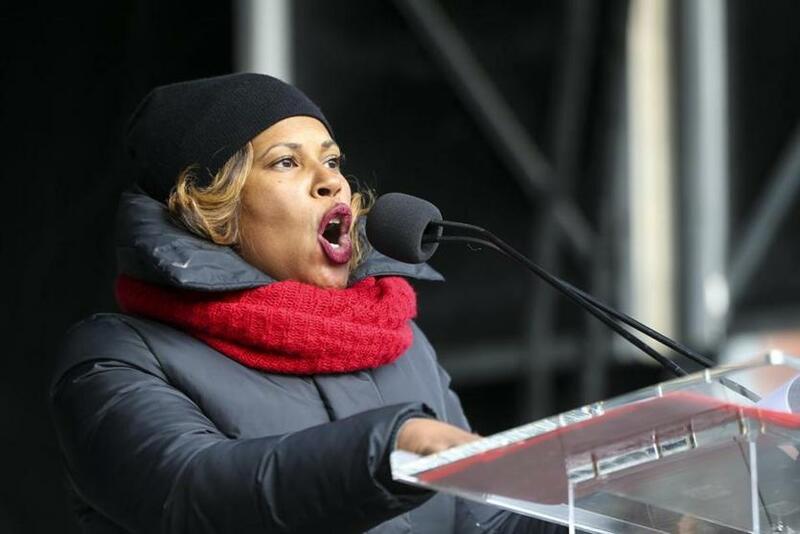 The official national leaders of the Women’s March Inc. remain embroiled in controversy over their inability to distance themselves from claims of anti-Semitism. 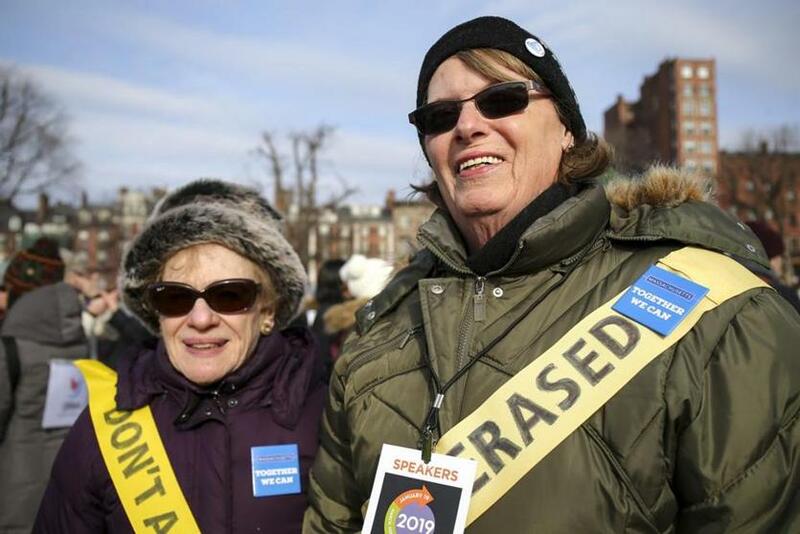 Though Boston’s organizers, called March Forward Massachusetts, operate independently of the national leaders, they were mindful of the mood, emphasizing “radical inclusivity” and inviting speakers who denounced racism, anti-Semitism, even ableism, discrimination in favor of able-bodied people. The Globe asked participants, many of whom were first-time marchers, what motivated them to join the third march. “This is my first one. . . . I think #MeToo is really great. 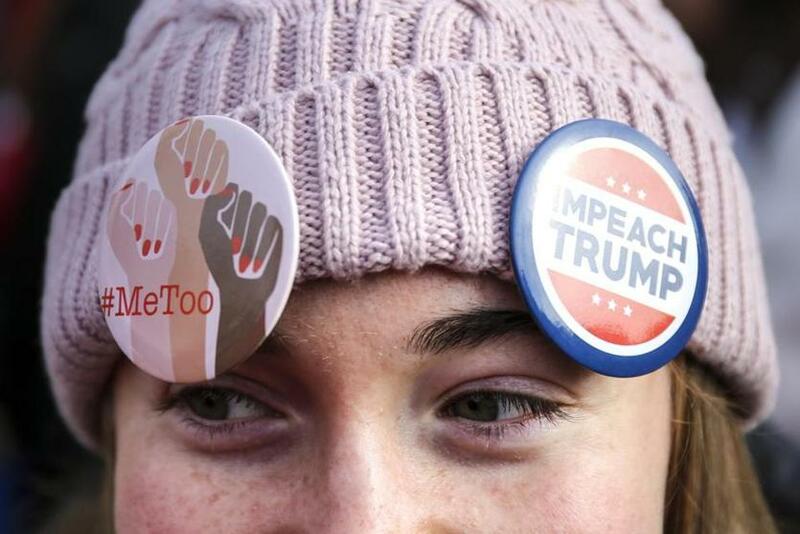 I think there’s a lot of progress that still needs to be done, but I think #MeToo is a great way to get started, to get women where we need to be.” — Andrea Sims, 18, a Lasell College fashion design student from Marlborough. 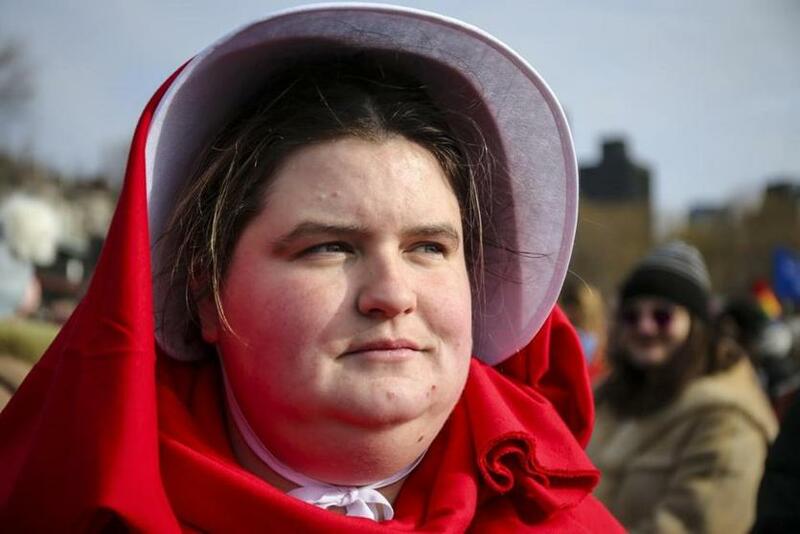 “I’m dressed up as a handmaid from ‘The Handmaid’s Tale’ because I’m just not comfortable or happy with how things are going right now, the direction we’re going as a country. ” — Stephanie Callan, 29, a bakery worker from Lowell. “I don’t have any money. I am not able to donate to all of the causes that matter to me. 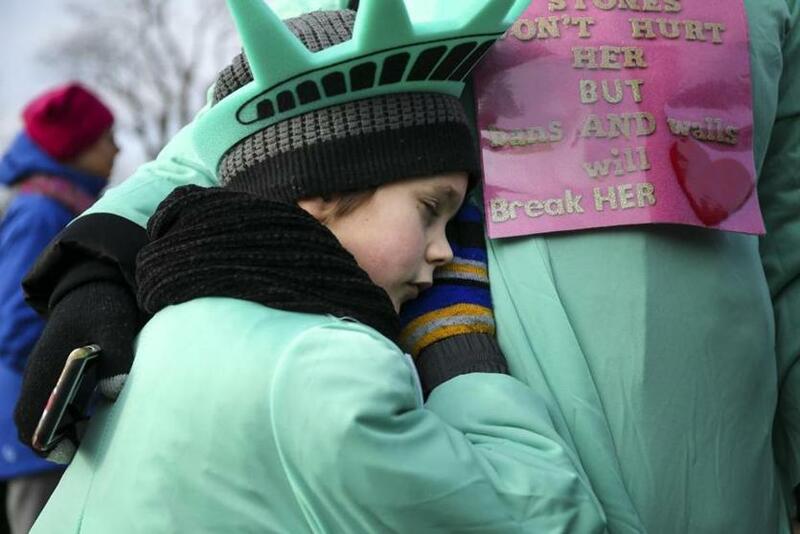 And this is the best way I felt I could do it besides signing petitions.” — Samantha Grabelle, 48, of Warwick, a professor who dressed as the Statue of Liberty, as did her 6-year-old son, Julius Mercure. “It is more than ever important to show resistance.” — Martina Jackson, 77, of Newton. “The transgender community wouldn’t have made it without allies, and that’s why I’m here today. . . . These are my sisters.” — Holly Ryan, 66 (on right) a transgender activist from Newton. “In this city and in cities around the Commonwealth we march in unity. We are not divided and we recognize that hate is hate. And there is no room in this movement for hate of any kind.” — Tanisha Sullivan, president NAACP-Boston.